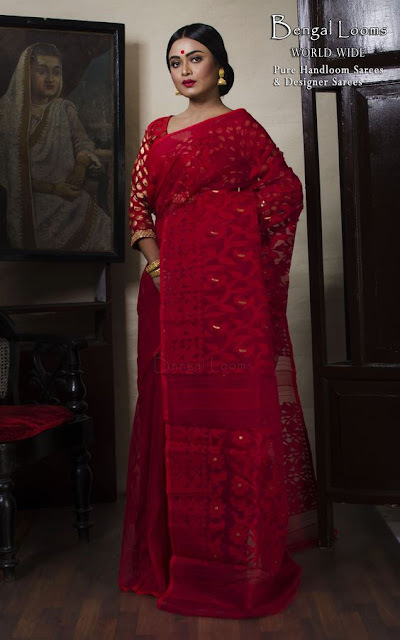 Authentic Dhakai Jamdani saree are rightly called “The finest of muslins” and are painstakingly handwoven in about 7 months to a year. 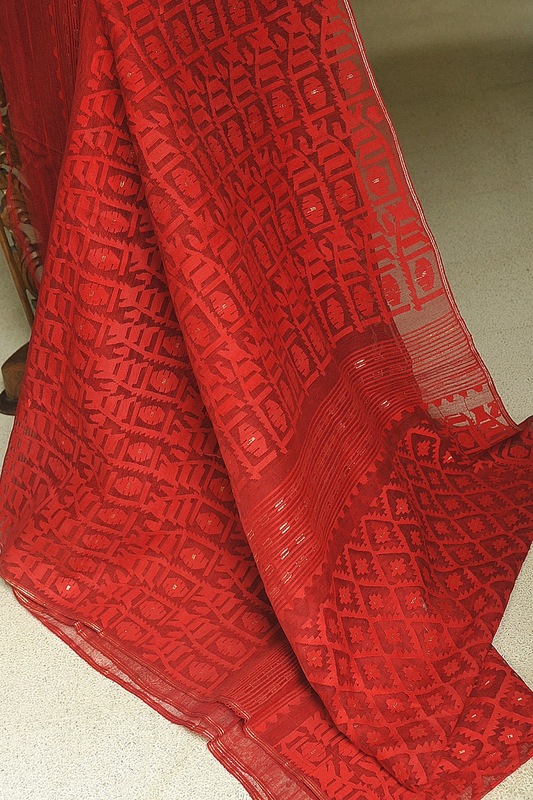 The characteristic of Dhakai Jamdani sarees is a sheer base with floral or “bootidar” designs in an opaque thread. Finest cotton is used to create the sheer base and thicker cotton is used to create the design. 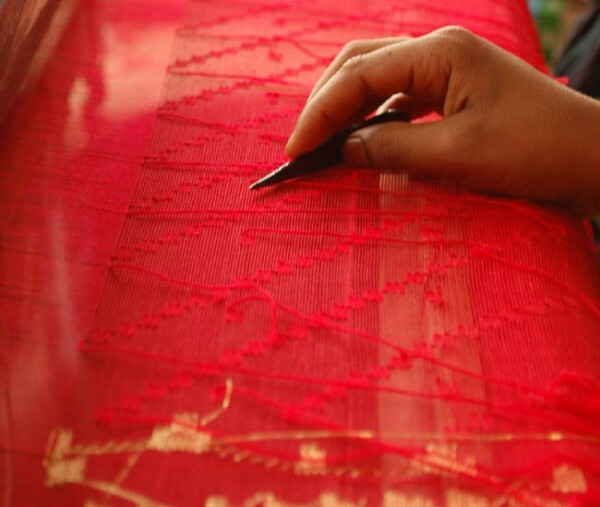 Sometimes golden threads are used between wefts to create golden sheen in the sarees. I wore a banarasi saree for my wedding (Read HERE) but if my wedding would have been in hot and sultry months, I would have definitely chosen a Dhakai Jamdani saree with intricate gold jewellery J What about you?? Disclaimer: None of the images belong to Elegant Eves. Proper credits have been given in the caption of each image. 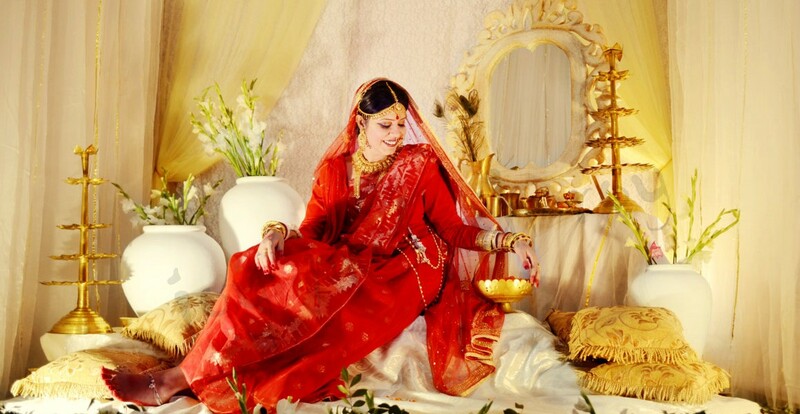 You may contact us if the image is yours and you want a link back.